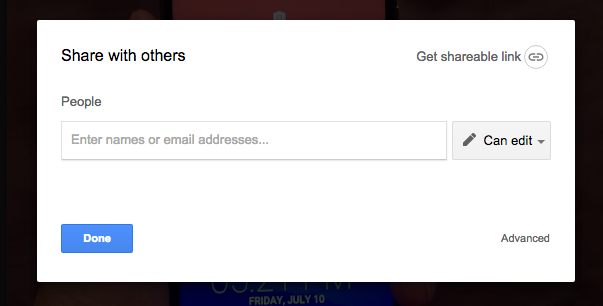 Google has quietly added a nice option in Google Drive. This new option is called ‘Lock down’ which prevents others from copying, printing or downloading any document you have shared with them. So, they will only be able to read the file but not be able to copy or download. This privacy feature is really good. To enable this for a file, open Google Drive. Now open any file which want to lock down. Click on share icon to share this file. Here, you can enter the email or name of the persons to share the file. Below, see the link ‘Advanced’. 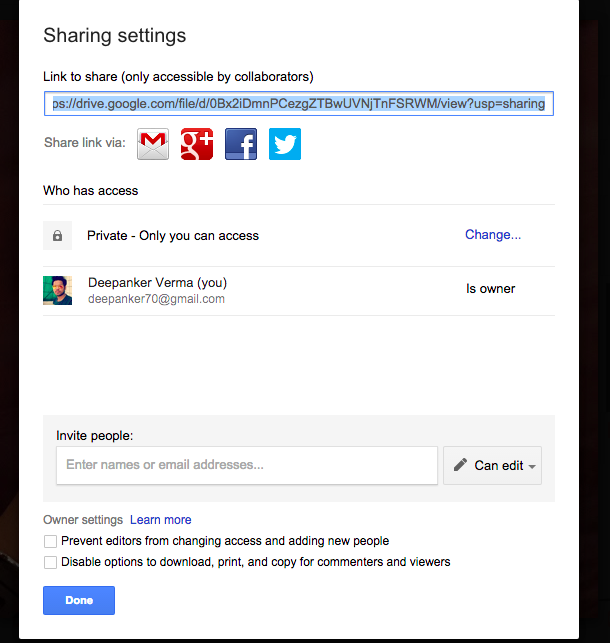 Click on it to open advanced sharing options. Here, at the bottom, see the Owner settings options with two checkboxes. Select the option saying “Disable options to download, print and copy for commenters and viewers.” Now, click on done. Other persons will only be able to access the file but they will not get option to download, print or copy. Of course they will be able to take the snapshot of the file. So, this option will not be very useful for images. Do you think that this option would be useful? Share your views with us via comments.